Eighty primary and secondary pupils from across Southwark attended an event at the Design Museum to celebrate their work to improve the local environment. Cllr Caroline Pidgeon, Southwark Council's executive member for education, said: "Congratulations and a big thank you to all the schools that are playing such a big part in making Southwark cleaner and greener. Their efforts over the past year have been really inspiring and demonstrate how we can all take small actions to improve our local environment, and what a difference these actions can make." Simon Hughes MP joined Newington Lib Dem councillors at the Brandon Festival in September, organised by the Brandon tenants’ association, with help from Trevor at the library. “Despite the windy weather, it was a great day out for everyone, and we really enjoyed chatting to Brandon residents and young people about what they want to see improved in the area” said Cllr Caroline Pidgeon. Mobile phone masts seem to be appearing all over the Borough, and that includes our part of Walworth, with two recent developments off Manor Place. Many of these phone masts have what is known as ‘permitted development rights’ and therefore do not need the same type of planning permission, as any other development, such as a new building or an extension. 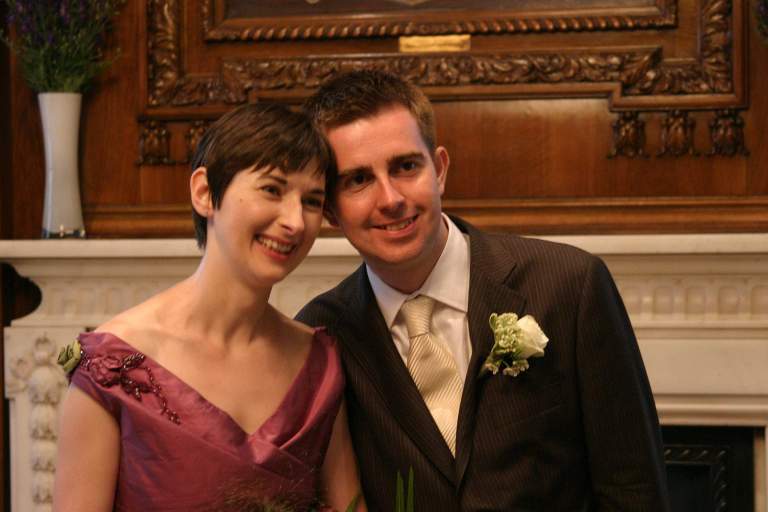 The summer saw Cllr Caroline Pidgeon get married to her partner Paul. Her dress was made and designed by Linda Brooker, who works in the Pullens Yards in Caroline’s ward. Her cake came from local bakers Konditor and Cook, whilst her flowers were designed by Simon from Igloo flowers on Bermondsey Street. “A big thank you to the many residents who sent us cards and good wishes for the future together”.